Exhibiting at an industry trade show without the right tips can be costly without the desired return. It is one of the costliest budget line items in a marketing budget but if done right, a trade show marketing program can validate your company to prospects as they move through their buyers’ journey. 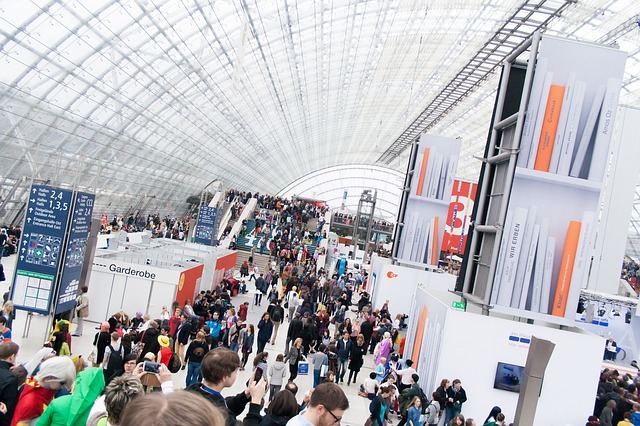 Here are tips on getting the most out of your trade show program. Sure, you could wing it, but doing a little planning right from the start will allow you to get the most booth traffic. Most tradeshows will provide a layout of the exhibit hall that will allow you to visualize angles, analyze possible prospect entry points, traffic patterns and proximity to your competitors. Several factors, like functional needs, aesthetic needs, marketing needs, and budget must be considered when picking the right booth space and booth property. Having too much clutter in your trade show booth could confuse and turn away prospects. Your exhibit makes a strong statement about who your company is and what it stands for, so make an impression without being overbearing. Graphics on the back-wall of your booth property if designed well will help draw prospects into your booth. A compelling image is more likely to attract attention than words. Don’t send your trade show booth staffers into the fray without a defined set of goals, best practices and guidelines about how to qualify booth visitors. And, ensure that your trade show team knows as much about booth etiquette as they do the company’s products and services. This goes hand-in-hand with the last point. The best booth staffers are engaging and proactive; they invite prospects in and don’t hide behind a table or display board hoping someone will wander toward them. And, prospects that are curious about your trade show booth don’t want to hear another elevator speech, so think about how you can add value to their time spent with you without boring them with a hard sell straight out of the gate. Exhibiting at a tradeshow is one the biggest line items in a startup marketing. Make the most of your time there. Your best prospect might be waiting for the last hour of the conference to visit the exhibit hall to avoid the crowds. Don’t count on prospects to remember you just because you handed them a business card or flyer. As part of your planning process prior to committing to exhibiting at the event, decide on goals and metrics and hold your team to them. Most conferences offer lead capture equipment for rent. But these are often pricey. With advance planning, you can create a reliable and organized system for your sales team to collect business cards so that these prospects can be followed up with the week after the conference to added to a nurturing campaign.